How are you paying for college? Financial conversations are hard ones to have, especially in the midst of taking classes, getting along with roommates, and scoring an internship. 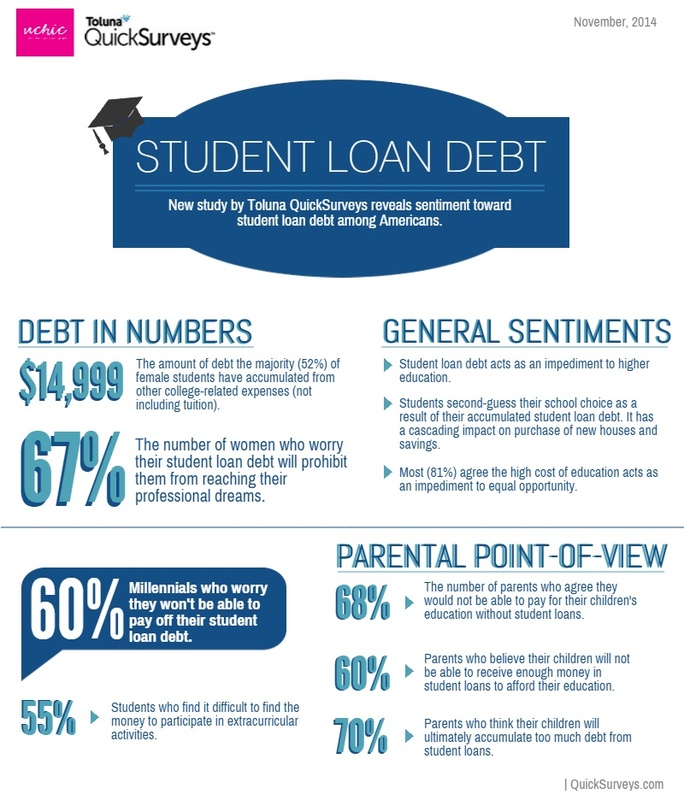 But here’s why we want to talk about it: According to a survey conducted by UChic (a high school and college lifestyle brand) and Toluna Quicksurveys, 67 percent of students and women worry that their student loan debts will limit what they’re able to do in pursuing their professional dreams. And it’s not just about the cost of classes, either—more than half of the students currently in college who were surveyed report up to $14,999 in debt from expenses besides tuition. Whether you are just starting to decide which university to attend or are currently in school, be proactive and do your research on any relevant scholarships and grants that may be available. Ask your peers, mentors, or others in your community if they know of any applicable scholarship/grant programs. Sites like the Federal Student Aid webpage and collegescholarships.org are also good resources for your search. 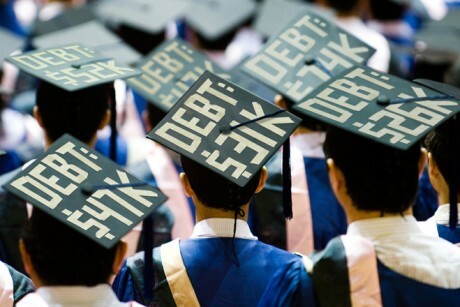 If you do have to apply for student loans, try to limit yourself to as few as possible and make sure they are at the absolute lowest interest rates. Low interest rates can save you a lot in the long run and managing a few loans is easier than maintaining many. Make a very concrete plan to pay off your loan. Some best practices: As soon as you start working, whether that be during college or after, set aside a chunk (10 percent is recommended) of your paycheck for your loans. Sometimes it’s easier to schedule automatic payments straight from your bank, but this works best when you have a consistent salary and healthy flow of money in your bank. Try using free tools like Learnvest and Mint to help keep track of your finances. These sites also often have articles to help guide you through the payment process, like this and this. Finally, take a breath. You’ll probably get frustrated at times, but try not to let that get you down. As the above survey tells you, you’re not alone. As long as you have a plan and are contributing monthly, there will be an end in sight.